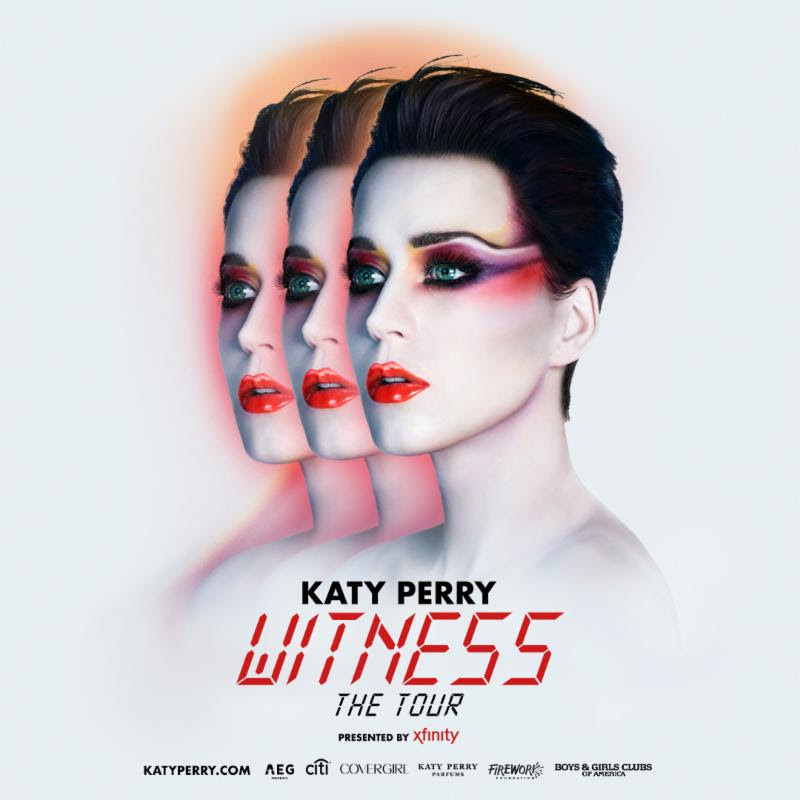 Led by her singles ‘Chained To The Rhythm’ and ‘Bon Appétit’, Katy Perry has announced her forthcoming LP, Witness, the follow up to her 2013 album, Prism. Currently scheduled for a June 9th release, via Capitol Records, Witness will reflect on the changes in Perry’s life, as well as the changes in the world around her. The upcoming album will deliver tracks that will both challenge and inspire Perry’s fans. That isn’t all though, as Katy has announced her forthcoming arena tour which will roll through all of North American in just a few months. Kicking things off on September 7th in Columbus, WITNESS: The Tour will make stops in Chicago, Nashville, New York, Milwaukee, Toronto and many more, until things come to an end next year, February 5th in Vancouver. Tickets for the tour will be available through Ticketmaster’s Verified Fan program, with registration beginning today and lasting until May 16th. Perry’s fan presale will go on sale on May 18th from 9AM – noon, and tickets will go on sale for the general public on May 22nd at 10am. Each ticket purchase for the ‘I Kiss A Girl’ singer’s tour will also include a copy of Perry’s new album. Check out the dates for Perry’s North American tour below.